Hope you are all feeling good and having a wonderful day. 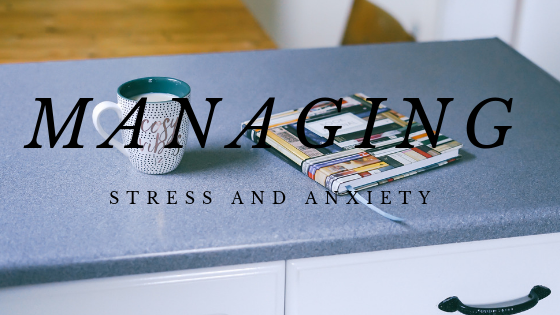 Today I am writing a post on ways to manage stress and anxiety - I know it can be difficult to do so even if you have all the advice on how to do it - I struggle with this, but I find it helpful to read some tips on it. 1. Find out what triggers the stress or anxiety. If you start feeling stressed or anxious question it, what are you doing that very moment that's making you feel like that? If you are more aware of the triggers it is a lot easier to manage because you can take steps to avoid the triggers. It's always good to speak to a close friend or family member if you're feeling stressed or anxious. If you have a lot going on in your mind it often helps to talk through them. This also helps because you will start to list all the things that are causing the stress/anxiety and it is easier then to list ways to cope with them. Also it can feel like you're taking a bit of that weight off your shoulders when you talk to someone about it. If you know what helps you to relax than do it, you know it helps to make you feel calm so when you are feeling stressed and anxious then that's the time to do it. Maybe you find taking a bath is relaxing, listening to music, going out for a walk/run, talking to someone, meeting up with a friend, making yourself your favourite meal, getting a duvet and lying on the sofa watching a film/television program, if you find mindfulness and meditation helps you can do that. If you have something on your mind that's bothering you, although it's good to get it sorted, sometimes the better option is to distract yourself just for an hour or so, forget about it and do something you know you will find relaxing and then go back to it at a later date. 4. Look after your physical health. Getting enough sleep, you find that if you don't get enough sleep often negative feelings are likely to be exaggerated and this will cause you to feel irritable and more stressed. Physical activity is also important - how many of you have been so unmotivated to go to the gym or go out for a run but you force yourself to go and when you're back how positive do you feel? I always find that I moan about going to the gym but when I get home afterwards or the next morning I'm feeling so much more positive and happy. There are some reasons behind why exercise can help relieve stress - exercise lowers your body's stress hormones in the long run, it also helps to release endorphins which are chemicals that improve your mood and act as a natural painkiller. Also carrying on from sleep - exercise can help to improve your sleep quality. It can also help with your confidence, if you exercise regularly you may feel more confident in your body which helps with your mental well-being. Eating healthy/well - this has a positive impact on your physical and mental health. Something to add to this can be reducing your caffeine intake - high doses of caffeine can increase anxiety - this is found in coffee, tea, chocolate and energy drinks. However people do have different thresholds for how much caffeine can be tolerated but if you start to notice that its making you feel jittery or anxious then it is wise to cut back on it. 5. Remember to give yourself a break. If you make a mistake please forgive yourself - everyone makes mistakes. If you don't achieve something then don't worry about it, it is disheartening when you don't get the grade you want, or you don't get that job you applied for but it's fine, you can try again. You have to remember that nobody is perfect, we will be rejected, we will make mistakes, we will fail things but this is what you have to go through to get the successes. This might sound strange but this can help to lower anxiety and stress and also helps you to sleep. Certain scents are especially soothing, examples such as - Lavender, rose, vetiver and bergamot to name a few. This is a well known method to help treat your mood and it is called aromatherapy - it can decrease anxiety and improve sleep. Sometimes if you're feeling stressed because you've got too much to do then write down a list and dates or times that you wish to have these done by and work on them one at a time. Also as well as writing down things that are making you stressed it's good to write down the things that you are grateful for. This can help you to focus on the positive aspects in your life and it will probably surprise you how long the list will be! 8. I mentioned above about talking to friends and family but it is also important to spend time with them. Organise a day out with someone or a group, you'll probably find that it will be fun and if you do have something on your mind that is stressing you out then having a good day out can really help. 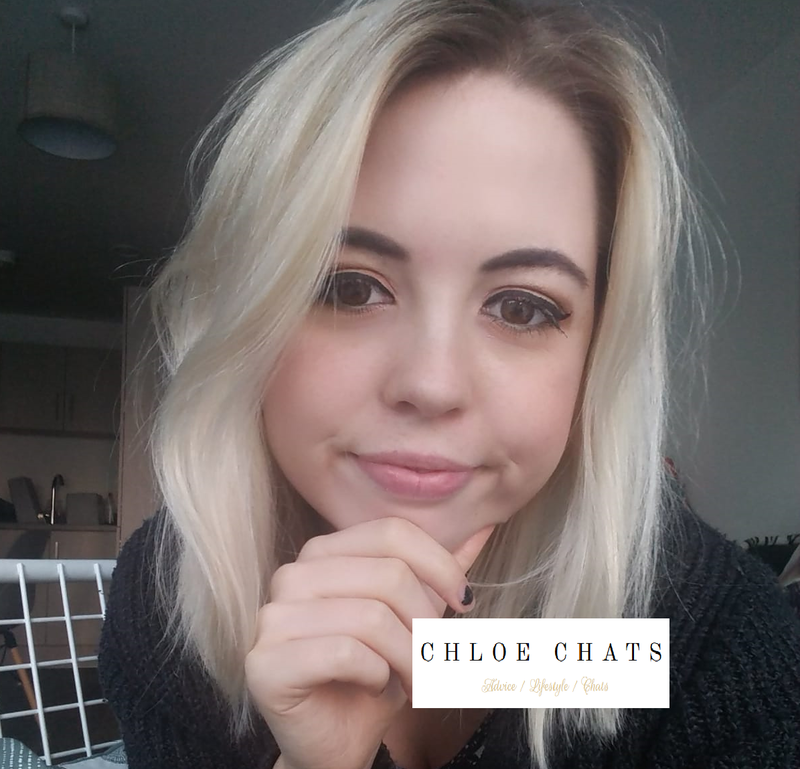 Sometimes when I feel anxious or when I'm feeling down I don't want to do anything, I usually just want to come home from work and get into bed and just watch something on Netflix, but sometimes when I'm feeling that way if I push myself to go meet a friend I feel so much better afterwards. This also gives you a good opportunity to talk to them and tell them how you're feeling. 9. Spend some time with your pet (if you have one). This might sound weird but there are studies out there that show that pets can help relieve stress. Interacting with pets may help to release oxytocin which is a brain chemical that promotes a positive mood. It can also help by giving you a purpose, keeping you active (if you have a pet that you can take out for walks) and provides companionship - these are all qualities that help to reduce stress and anxiety. It is known that here in the UK we work the longest hours in Europe meaning we often don't get to spend time doing things we enjoy. Maybe you can set aside a few nights a week for some quality 'me time' away from work. These are just a few ways to help manage stress and anxiety - I hope they are helpful.